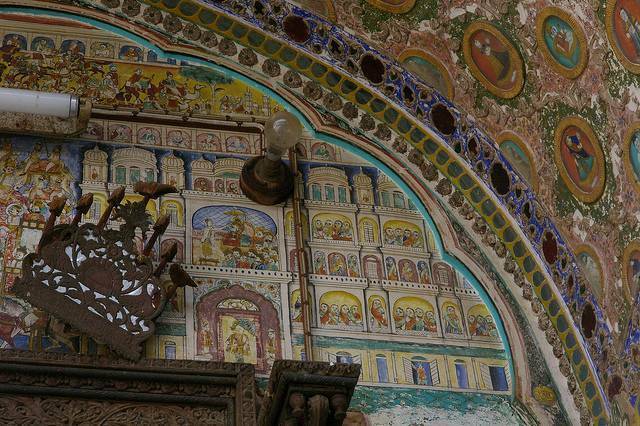 Jhunjhunu located 180 Km from Jaipur is famous for its grand Havelies and the frescoes in these havelies. These frescoes are the signature of this region. This region is famous for the Rani Sati temple which is a 400 years old temple. The temple complex has other famous temples like the Sita temple, HanumanTemple, Shiva and GaneshTemples. Also this place has the Nav Grah temple as well Sodas Matrika temple.